By: J. Wayne Cropp, Esq. On August 3, 2015, President Obama and the U. S. Environmental Protection Agency (EPA) utilized executive action to call for major societal shifts in order to implement new climate change policy. The rules, dubbed the Clean Power Plan, are intended to cut carbon emissions from power plants and encourage renewable energy sources. The implications of the Clean Power Plan are far-reaching and controversial. The Clean Power Plan, in conjunction with other EPA rules such as tightened fuel-economy rules for cars and trucks, is intended to further President Obama’s legacy by solidifying his climate change credentials, while putting the United States at the forefront of international climate change policy. 1. What Are The New Rules? The primary rule generating attention was issued in the form of emission guidelines for states to follow in developing plans to reduce greenhouse gas (GHG) emissions from existing fossil fuel-fired electric generating units (EGUs), referred to as power plants in this analysis. The final rule of August 2015 is tougher than the original draft proposal because it increases the amount of emission reductions from 30 to 32 percent of 2005-level carbon emissions that existing power plants must achieve by 2030. The final rule also increases the target for renewable energy production to 28 percent, versus the 22 percent goal that had been proposed in the 2014 draft rule, meaning more renewable energy sources will be required and less emission reduction credit can be achieved by power plants for switching to natural gas from coal. In addition to promoting renewable energy sources through the Clean Power Plan, such as wind, solar, geothermal, wave and tidal, and hydroelectric production, the rule also recognizes and encourages emission trading (cap-and-trade) programs within and among states and regions. The EPA reliance upon authority, which it argues it finds in Section 111(d) of the Clean Air Act, allowing the EPA to promulgate regulations requiring states to establish “standards of performance” for existing stationary sources, is sure to draw litigation and opposition that will be tried in the U.S. Supreme Court and the court of public opinion. The counter-arguments to the EPA’s novel legal approach will center around whether the EPA has the authority to regulate beyond the fence line of a power plant, utilizing such requirements as its zero-emission renewable energy targets, or whether the Section 111(d) performance standards only allow the agency to require the application of emission control technology behind the fence line at the power plant source. In addition to the rule for existing industries, the EPA also issued new rules for new or modified power plants and proposed a federal plan for states that choose not to submit state plans of their own. 2. What Is The Controversy? A treatise could be written on this topic, and in fact several have been. ·Is man-made climate change real? ·What are the impacts on our climate from delay or the null alternative? ·Are the cost-benefit calculations prepared by the EPA truly representative of actual costs and benefits? · How do we put a price tag on life and health? ·Why was the final rule adopted by the EPA even more stringent than what was proposed a year ago by the agency? ·Who wins and loses in money and jobs? ·Which states and regions stand to gain from this rule? These are all valid questions with multiple facets, great uncertainties and serious consequences. However, among these social, political, financial and health issues there are also significant legal and constitutional questions to be answered as well. ·The power industry in this county has been converting coal-fired power plants to natural gas units and many power companies are already well on their way to significant reductions in carbon emissions. ·Recent development of the U.S. and global natural gas and shale gas industries will continue as a means of complying with these regulations. However, renewable energy production and energy efficiency and conservation measures will become even more important. This will lead to new and exciting opportunities in advanced manufacturing, emerging companies and technologies. 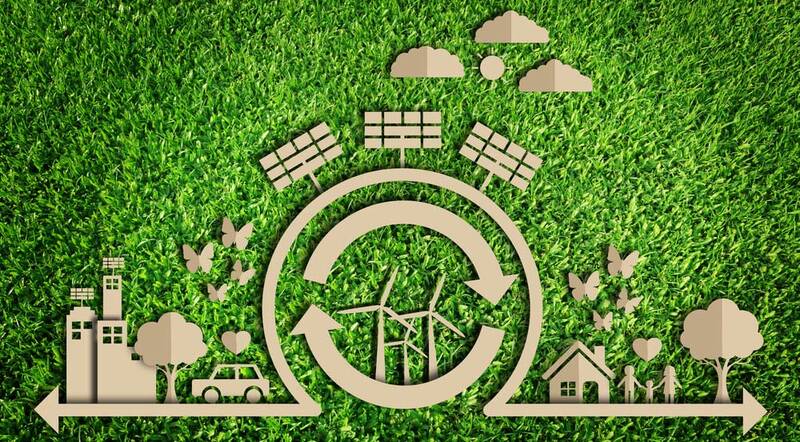 ·Carbon trading markets are likely to develop that will advance the state-of-the-art on cap-and-trade type programs and trading of renewable energy certificates. ·The expansion of new and existing source performance standards in new and novel ways may be applied later to other industrial source categories. ·Electric grid security will be an increasing concern. Even though EPA speaks in terms of guidelines, targets and goals in the Clean Power Plan, the rule seeks to establish binding requirements for the application of performance standards that will impact the cost, reliability, methods and diversity of the electric commodity that we have come to rely on in this country. The regulation uses the “carrot-and-stick” approach along with incentives, credits, market-forces and perhaps even future carbon taxes to achieve its means through executive action rather than legislative accord.